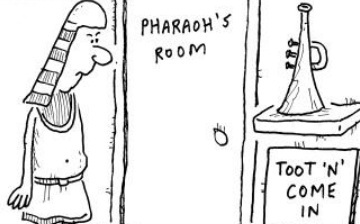 King Tut, etc. etc. etc. Not long after the world's first civilization arose between the Tigris and Euphrates, civilization spread west to the Nile River Valley of Egypt. 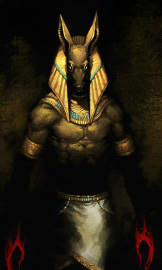 Ancient Egyptians are best known for their concept of the afterlife. Both royalty and private individuals built lavish pyramids. The largest pyramid was for King Khufu at the site of modern Giza. It was 481 feet tall, took up 12 acres, and required 30 years to build. To build a pyramid, crews of thousands moved millions of limestone blocks that weighed 2.5 tons. Contrary to popular belief, these workers were not slaves. Standing guard at Giza is the 66-foot-high and 240-foot-long Great Sphinx. The Sphinx and the pyramids are examples of Egyptian architectural achievements. 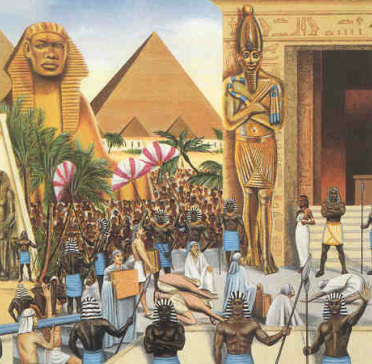 The pharaohs were the supreme rulers of Egypt and represented humankind's link to the gods. Egypt's most notable pharaohs included: Queen Hatshepsut, the earliest known queen; King Tutankhamen ("Tut"), famous for his preserved tomb; King Ramses II, who strengthened Egypt's military, and Queen Cleopatra VII, Egypt's final queen... who slept with just about every Roman leader. Egypt was dubbed the "Gift of the Nile". This is because the 4,000-mile Nile River provided the people with water for irrigation, fertile soils, transportation, and protection. Egypt's geography helped protect it. 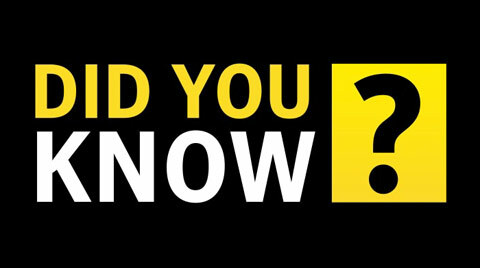 Deserts to the west, seas to the north and east, and the Nile's rapids (called cataracts) to the south allowed civilization to last for more than 3,000 years (3300-30 BC), the longest in history. Why do the bad guys always look the coolest? Dark skin is an adaptation to climate. People near the Equator need more pigment to protect them from the sun, while people closer to the poles have paler skins that allow their bodies to absorb sunlight. being this gorgeous beauty. 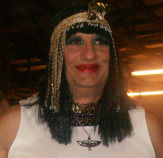 Recent discoveries, however, show that Cleopatra was short, heavy, and not good-looking at all!